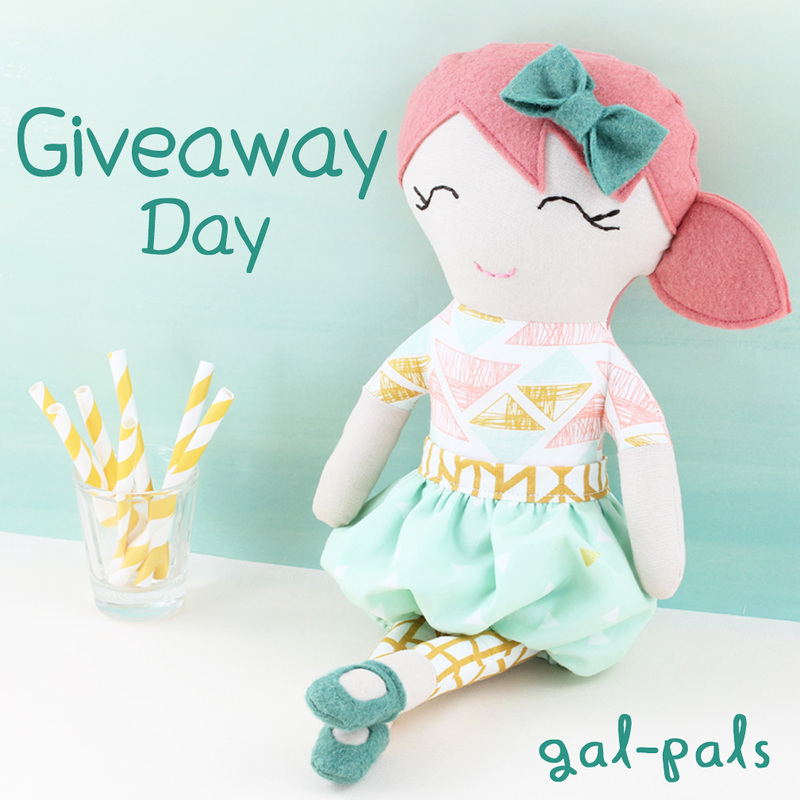 Today is Giveaway Day with Sew Mama Sew. Check out their website for many other unique handmade gifts. I’m giving away Sienna (above), by far the most popular item in my shop this Christmas. She is a pretty doll dressed in soft mints and pink with yellow golds. I also love how her bubble skirt drapes in a cute way. To enter the giveaway, comment on an item on your child’s Christmas list or a gift you’re giving a child. Giveaway is also occurring on Instagram-@mygalpals and ends December 12. Winner will be announced here in the comments and Instagram.